Sarah Holbeche was a snob, and looked down on wealthy factory owners. In 1866 she wrote in her diary “The Lloyd brothers made their appearance as occupants of Moor Hall and pew (reserved seat in the Parish Church), specimens of Black Country gentry - Oh! for the shades of the Hackets”. The Hackets were real gentry, and had been at Moor Hall when Sarah was young. Francis Beynon Hacket inherited Moor Hall from his uncle John Hacket in 1810. The Hackets were descendants of Bishop John Hacket, the bishop who rebuilt Lichfield Cathedral in the seventeenth century; the head of the family, owner of great wealth and large estates, was Andrew Hacket of Moxhull, Francis’s elder brother. In 1816 Francis married Elizabeth Horton and settled at Moor Hall. He lived in style, made improvements to the estate, added a new front to the house and fathered ten children. He was a popular man, serving as Warden in 1815 and 1816, and, as Sarah noted in her diary “1817 November 2nd Mr. H. Warden for the third time (great triumph)”. But he was living above his income, and his hopes of inheriting the Hacket fortune were fading. His brother Andrew, who died childless in 1815, bequeathed the whole estate to his wife Letitia; Letitia soon after married the Hon. Berkeley Noel; when they had children, Francis had to give up hope of regaining any of the Hacket fortune. “The alienation of family property by the unjust will of his elder brother so depressed and distressed him that he never recovered the effect or took the position he was entitled to hold” - Sarah Holbeche. Hackett had debts of over £6,000, and his affairs were put under the management of Holbeche the lawyer and Harris the surveyor, but he continued to serve on the Warden and Society and was Deputy Lieutenant of the County in 1833. Eventually the debts were paid off by the sale of estates at Old Oscott (sold to Gough of Perry Hall for £6460) and the Moor Hall Estate was let to tenants. The Hackets moved to Mrs. Hacket’s property near York in 1838, where they could live within their means. Francis Hacket died in 1864. All four of his sons died before they were 30 years old - Charles was killed in action in China - but his son John, who died in 1846, was married, so there was a grandson John to keep the name of Hacket of Moor Hall alive for another generation. The Lloyd brothers, who came to Moor Hall in 1866, were ironmasters and mine owners, but also bankers, founders of Lloyds Bank. Sampson Lloyd was living at Moor Hall in 1871, described as County Magistrate, manufacturing engineer and bank director, with his Prussian wife, eight children and nine servants. Moor Hall was demolished and the present Moor Hall erected on the site in 1905. 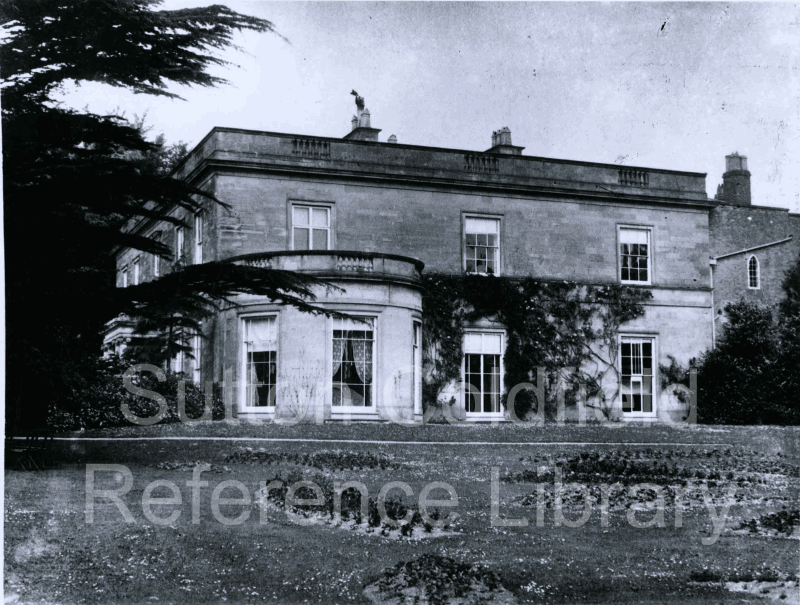 Old Moor Hall - F.B.Hacket was responsible for its Georgian restyling (Photo courtesy Sutton Reference Library).